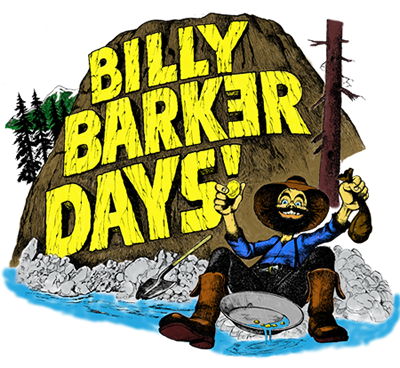 Billy Barkɘr Days | Stake Your Claim to the Goodtimes! COME AND JOIN US FOR THE 45th ANNUAL BILLY BARKER DAYS FESTIVAL! What Is Billy Barker Days? 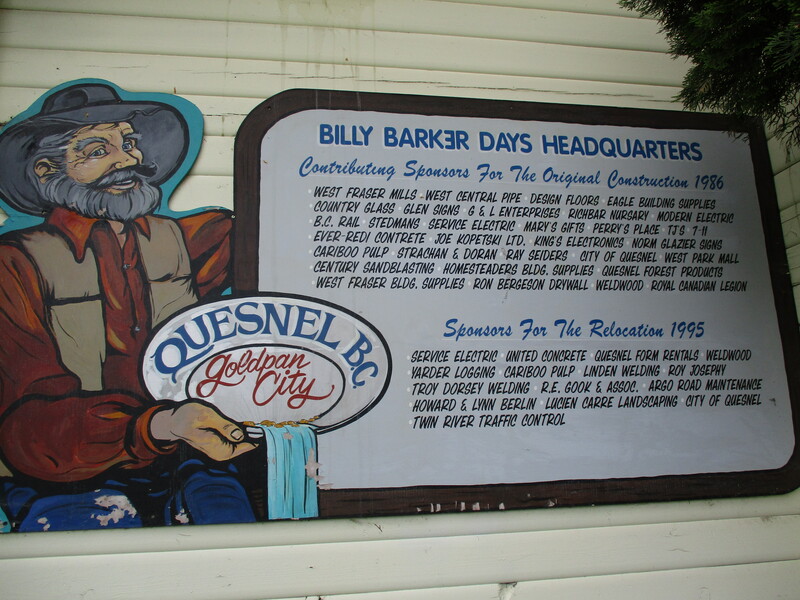 Quesnel’s Billy Barker Days is a family festival celebrating our gold rush heritage. The Festival features four days of entertainment for those seeking action, relaxation, fun and excitement. The community comes alive with Costume rentals, Seniors’ Day and Kids’ Day, free stage entertainment in the park, plus the midway, dances, parade, rodeo, the Gold Dust Mall, and many other activities sponsored by other community organizations. The days filled with activities are topped off with a laser show in the park on Friday, Saturday and Sunday nights. Whatever you are looking for, mark your calendar for the 3rd full weekend of July for Quesnel’s annual Billy Barker Days Festival. In 1973 Town Council along with the Chamber of Commerce hatched the idea of a summer festival to showcase our beautiful town and its pride in our gold rush heritage to the many visitors stopping in Quesnel. With a budget of $3,000.00 from the Town, the first annual Billy Barker Days was underway. 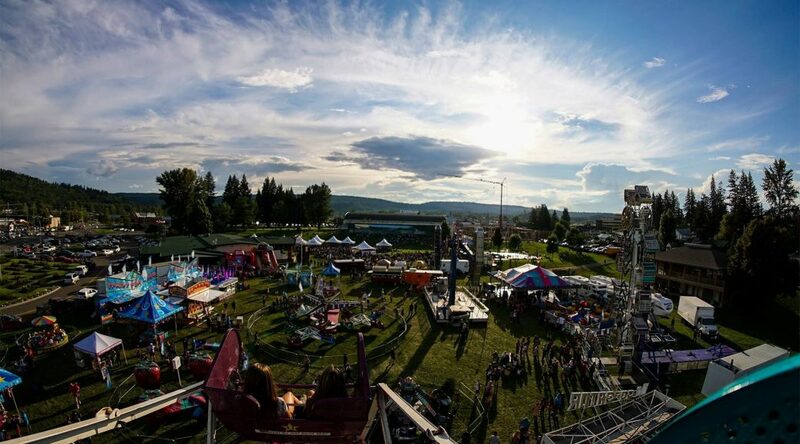 The organizing committee did some research and found that the best summer weather had typically occurred the third weekend in July, which happened to be when the Quesnel Rodeo was held. A meeting was struck between the two groups and it was agreed that the new Festival would be held in conjunction with the Quesnel Rodeo. 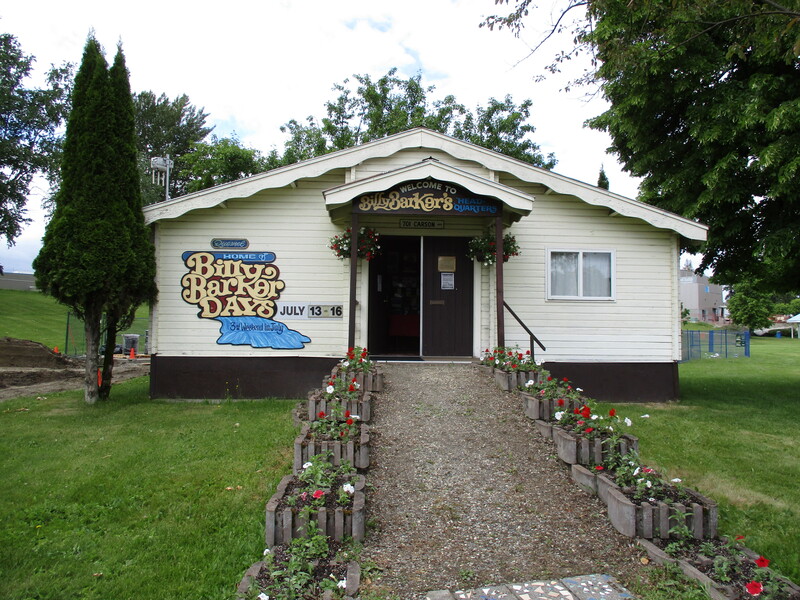 The Quesnel Billy Barker Days Society now organizes and funds the Festival. The majority of our funding comes from Corporate Sponsorship. It is because of our business community that the Festival has endured for over 40 years. During this time some events have changed, some sadly no longer exist, but a few continue on – The Parade, Fireworks, Business Decorating, free Stage Entertainment, and Costumes. Four decades ago the vision of the committee was to host a family festival at little or no cost to the community and to visitors stopping to “see what was going on.” To this day committee members are proud to continue this tradition. Billy Barker Days sponsored LeBourdais Park events are free. You can spend one day or all weekend in the Park and enjoy Stage Entertainment, including the Headliners for free! The Billy Barker Days Society members are all volunteers, they work year ­round to ensure that the Festival is ready to go on the third weekend of July. Thank you to the hundreds of volunteers who come out for the weekend to help with this event. Stake Your Claim To The Good Times! This “Quik-Lok” building was constructed on it’s original site, one half block north of this location in 1955. Mr. Norm Lakara built it as a warehouse for Mr Smith’s transport business. The present building represents about one third of the original structure. Some time later, Smith moved to Two Mile Flat and the W.F. Molten Company secured the premises for grocery warehousing. In 1966 Gene’s Beverages (Plamondon) purchased the premises and operated the Pepsi-Cola distributorship until November 1984, when the property was acquired by the City of Quesnel. When the old building was destined for demolition , the Billy Barker Days Society, in search of a Home, seized the opportunity to relocate and renovate the structure, transporting it into a functional and attractive Community Facility. Officially opened Friday, May 23, 1986. West Fraser Mills, West Central Pipe, Design Flooring, Eagle Building Supplies, Country Glass, Glen Signs, G & L Enterprises, Richbar Nursery, Modern Electric, B.C. Rail, Stedmans, Service Electric, Mary’s Gifts, Perry’s Place, TJ’s, 7-11, Ever-Redi Concrete, Joe Kopetski Ltd, Kings Electronics, Norm Glazer Signs, Cariboo Pulp, Strachan & Doran, Ray Seiders, City of Quesnel, West Park Mall, Century Sandblasting, Homesteaders Building Supplies, Quesnel Forest Products, West Fraser Building Supplies, Ron Bergerson Drywall, Weldwood, Royal Canadian Legion. Service Electric, United Concrete, Quesnel form Rentals, Weldwood, Yarder Logging, Cariboo Pulp, Linden Welding, Roy Josephy, Troy Dorsey Welding, R.E. Gook & Associates, Argo Road Maintenance, Howard & Lynn Berlin, Lucien Carre Landscaping, City of Quesnel, Twin River traffic control. Stop in and meet our Office Manager, Kieran Gregg. For now the Office will be open Monday-Friday, 9:00 – 1:00.